Monday, 5/13: Division Wine Event! our favorites from the kitchen... $57pp / whole table participation. Take away those tough dinner decisions by allowing us to cook for your table. 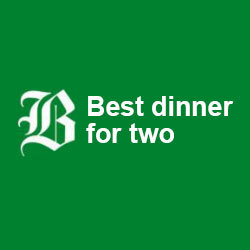 You will receive a couple of light snacks to begin, three savory courses, and dessert (some shared, some not... some from the menu, some not!). Available every night whether you're coming in for a night off from cooking for yourself, or a night out to celebrate! From wine dinners to chef takeovers – our calendar is always filling with fun and new ways to dine at Sycamore. Be sure to sign up for our mailing list where you will be the first in the know of upcoming events and get first dibs on reservations! syc@home daily menu…the below prepared items are available for purchase in the restaurant 12pm-12am for you to serve at home. spreads & dips are packaged fresh, pastas are dried & bagged, sauces & sausages are fully-cooked and frozen. limited availability – call to confirm, especially if interested in purchasing large quantities. bubbles! not just for special occasions anymore! drink pink!… rosé for any and every day! street parking and public lot. I began my culinary path at a young age making pancakes in home-ec class at Natick High School. I then went on to ski and cook in Vermont, which was the catalyst for my love of the restaurant world. Since then, I have never looked back. I spent my early cooking career in Boston at the Nightingale, Upstairs on the Square and Rendezvous. I then had the fortune of running Ten Tables Jamaica Plain as chef. Three years later I became an owner myself, opening Ten Tables Cambridge. These experiences have given me the opportunity to hone my skills, crafting what makes an approachable and delicious menu: flavorful ingredients executed professionally. At Sycamore, we believe in food that makes you happy. I invite you to join us for a memorable dining experience in our corner of Newton Centre. I began my culinary career more than 14 years ago, and have honed my skills as sous chef at restaurants that include the award-winning Craigie on Main in Cambridge and Quince in San Francisco. I welcome challenges and new adventures and in addition to traveling all over southern Africa, the Caribbean, and western Europe, I have also had the opportunity to cook in kitchens throughout Spain. While continuing to push myself to learn new techniques, I always keep in mind that the primary role of cooking is to create tasty food for people to enjoy in a comfortable environment. Born and raised on the north shore, I was introduced to the restaurant business at an early age spinning up pizzas at the local shop. I have held every front of the house position in a restaurant, but have always come back to my roots at the bar. I’ve been fortunate to learn under some of Boston’s master “hospitalitarians,” including Lydia Shire, Michael Schlow, Esti Parsons, and most recently with legendary Boston barman Rob Iurilli at Abigail’s. Sycamore is as much a place to eat as it is a place to connect, and that is what I try to do at our bar – make new friends and entertain old ones. 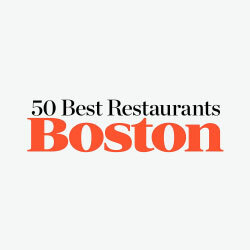 I fell in love with the city of Boston while attending Boston University for the French Horn and fell in love with the industry at Craigie Street Bistrot over 10 years ago as an expeditor and manager. I also fell in love with my future husband! We helped Chef Maws open Craigie on Main, and then moved to live and work on a cheese farm in Alsace, France. After France came a move to Chicago, where I worked my way up to management at Paul Kahan’s Publican, earning my beer-server Cicerone certification. After doing stints at Straight Wharf Restaurant in Nantucket, opening Row 34 in Fort Point, and slinging spritzes during patio season at Coppa, I spent a year obtaining my Sommelier Certification and curating the beer and cordials program as the Director of @Urbanhops at The Urban Grape in Boston’s South End. I enjoy baking my mom’s infamous desserts, and doing jigsaw puzzles with my husband while our pup Winston snoozes on our feet.